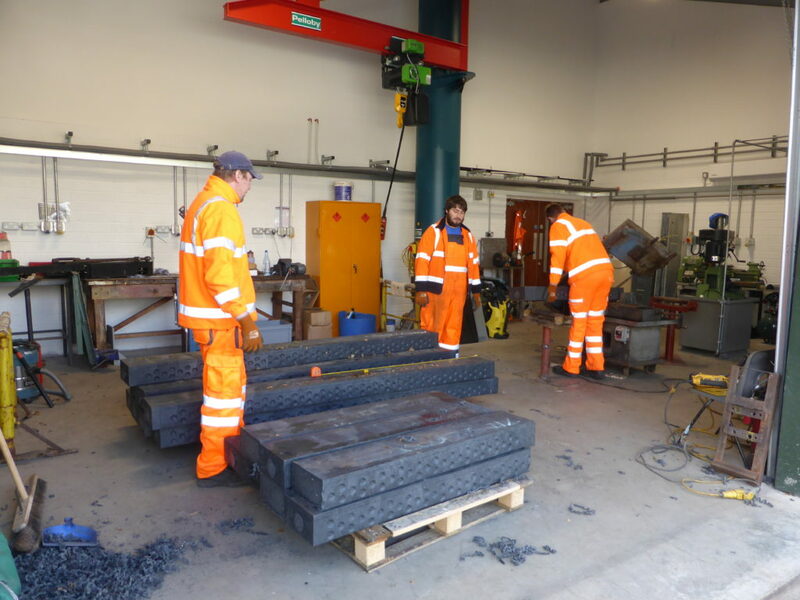 There was a lot of noise in the S&T work area on Monday and I found three very busy young men working at cutting sleepers to size and drilling the holes ready for replacing on the track during the winter programme. Our HLF students enjoying their work experience….. These are the new sleepers aimed at saving the trees and finding a way of utilising plastic waste instead of it littering the seas and beaches around the world. A firm in Leeds have been doing some amazing recycling projects and produces these very viable and sustainable sleepers for us. The Porch has a Roof!